"Following the events of Sony Pictures Animation's original culinary comedy, Cloudy with a Chance of Meatballs 2 continues the exciting journey of inventor Flint Lockwood and his friends as they rush to save the world from his most infamous machine that is now creating food-animal hybrids- "Foodimals"! This action-adventure title, starring a dazzling cast of characters, art, and environments from the animated feature, is ideal for young gamers and fans of the film of all ages. 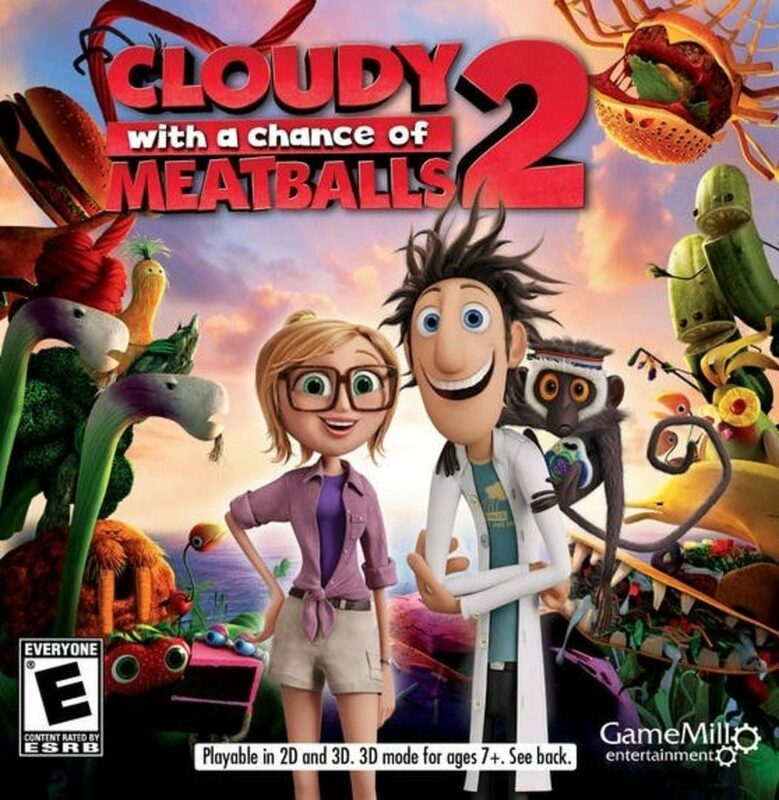 Complete with a suite of unlockable levels, unique character abilities and power-ups, and bonus Challenge and Survival gameplay modes in addition to the main story, Cloudy with a Chance of Meatballs 2 is a game you'll savor with every play."